The Emerson Elementary School staff is dedicated to the academic achievement and social development of all children. Our highly trained teachers work collaboratively to provide a challenging and engaging curriculum to our students and are skilled at bringing out the best in everyone. In addition to our core program of reading, writing, mathematics, science and social studies, we provide art, music, physical education, cooking, and gardening. Students in all grade levels go on field trips throughout the year culminating in a science-based overnight field trip for our fourth and fifth graders. We build community and self respect daily and at our monthly all-school meetings where we recognize children for positive citizenship traits and celebrate our talents and accomplishments through song, poetry, spoken word, and skits. We practice a positive approach to student development, teaching children to do things the Emerson Way. Our fifth graders learn to contribute to the community by engaging in school service projects such as tutoring in lower grade classrooms and helping in the office, cafeteria, and school yard throughout the year. In addition to excellent classroom instruction, Emerson has many systems in place to support and enrich our students. Our outstanding intervention, after school, and tutoring programs provide additional enrichment and support to more than half the student population at Emerson. Our math tutor provides challenge activities to students both during and after school as well as extra support to students who need it. Our intervention teachers and BUILD tutors work with students individually and in small groups to provide extra instruction in reading, writing, and math. Kids’ World, our on-site after school program, provides homework support as well as a broad range of classes and activities to keep students engaged in the afternoons. With this level of expertise and support, students do not fall through the cracks at Emerson School. Finally, we have an enthusiastic parent community whose members volunteer many hours working in classrooms, at events, and on special projects. We are a truly unique community, committed to working and learning together the Emerson Way. 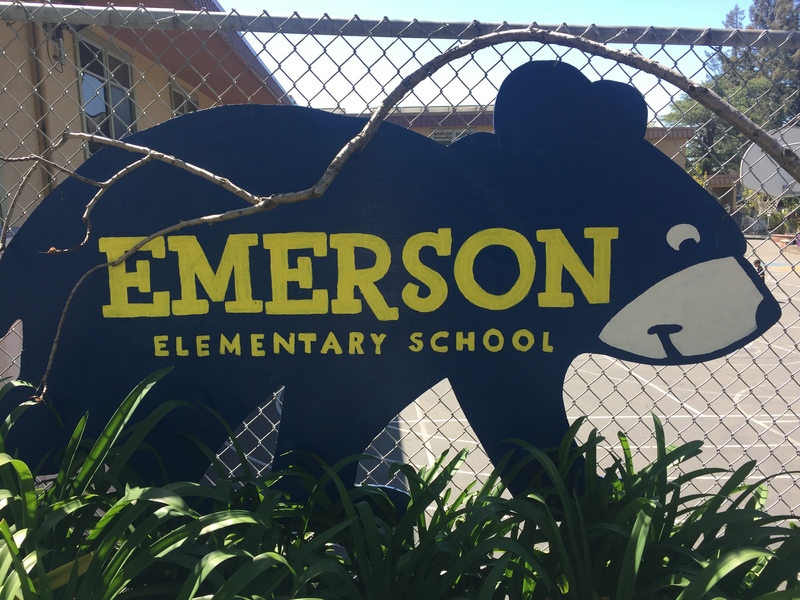 Emerson Elementary was named a California Distinguished School in 2018. The teachers at Emerson School have been amazing. My child was challenged and engaged all through his years at the school and I couldn’t be more pleased. My child has had a wonderful learning experience at Emerson. The teachers and tutors have gone above and beyond to meet her needs and build upon her interests and she is thriving under their care.